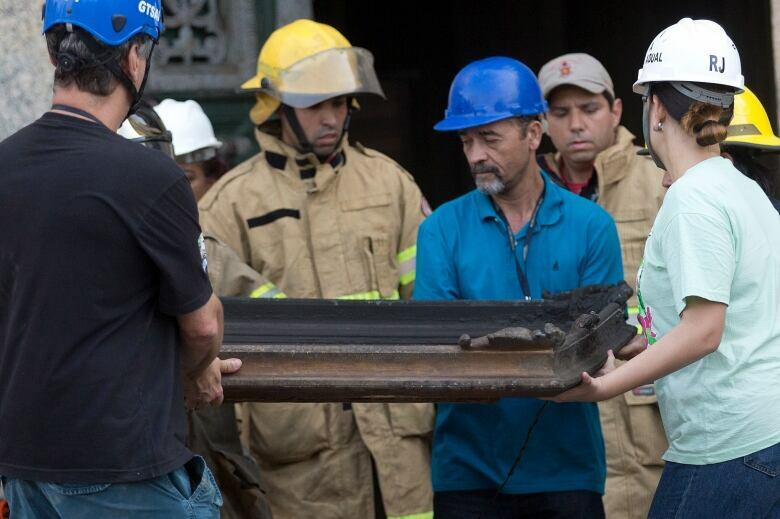 After Brazil's National Museum lost 90 per cent of its collection in a devastating fire earlier this month, museum expert Robert Janes suggests culling collections so that resources can be devoted to protecting irreplaceable material. After a devastating fire gutted the National Museum of Brazil earlier this month, one expert suggests museums should put more resources in caring for and preserving its irreplaceable material — and culling items that don't make the cut. Robert Janes, a visiting research fellow at the School of Museum Studies at the University of Leicester in the U.K., criticized museums that spend more money on marketing, exhibitions, shops and restaurants rather than storing and managing their collection. "It behooves all of us in the museum community, not only in Canada, North America, but around the world to start thinking about the collections a bit more constructively and a bit more critically," Janes told The Current's Anna Maria Trremonti. "I think that museum managers and workers — I mean all of us — have to assume some responsibility for this, despite the steady decline in public funding that's usually blamed as the reason." He argued museums should be grading collections to determine what is priceless and irreplaceable so scarce resources can be devoted to properly caring for "absolutely important" material. Janes understands it may be difficult to sell or give away items that don't make the grade, but considers it an unavoidable choice. "Collections are the pre-eminent sacred cow," Janes said. "There's sort of this magical belief that one must keep collections forever, but that's no longer really realistic or possible." Luana Santos, a fourth year student in museology (museum studies) at the federal university of the state of Rio de Janeiro. Wafaa Bilal, an Iraqi-American artist based in New York City. His exhibit 168:01 was recently on display at the Agha Khan Museum in Toronto. Robert Janes, a visiting research fellow at the School of Museum Studies at the University of Leicester in the U.K. Produced by John Chipman and Ines Colabrese. 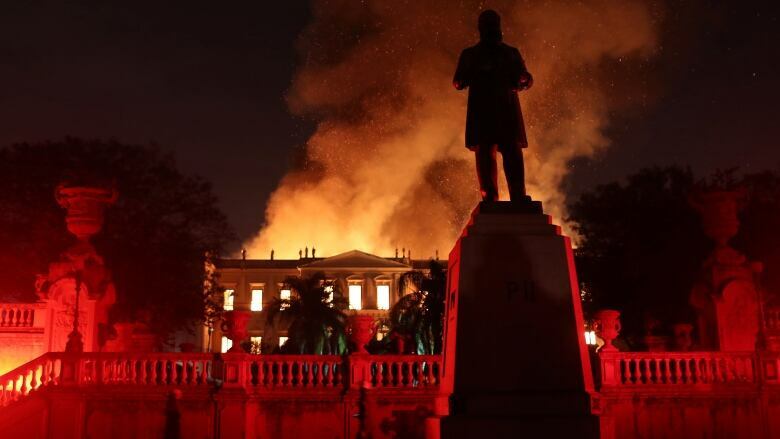 A fire destroyed Brazil's National Museum. How safe is the Royal B.C. Museum?